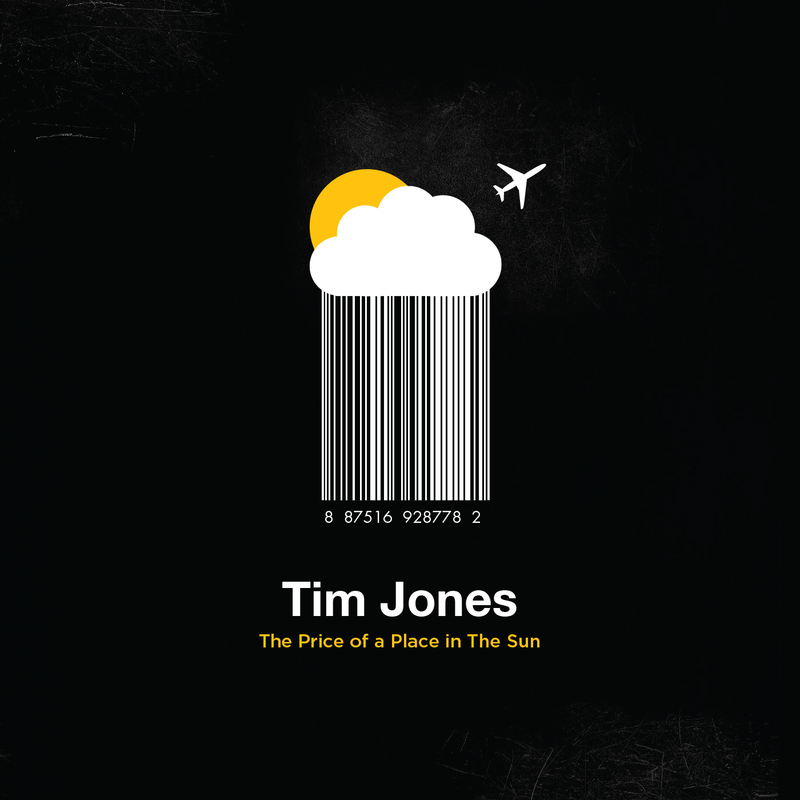 The first thing to notice about Tim Jones’ new CD “The Price of a Place in the Sun”* is that there has clearly been a lot of thought and preparation into the CD. And that comes without listening to any of its 10 tracks. 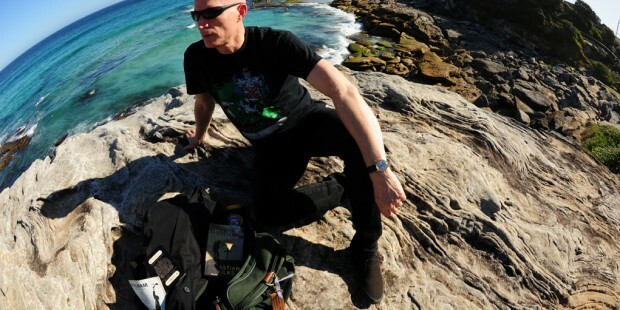 The CD comes in a clever package, designed somewhat like a “travel wallet” which, when opened, reveals in the right pocket the CD, and in the left the lyrics and acknowledgements in the form of a passport. Opening up the passport reveals a photo of Tim circa 1977 which, if I understand correctly, was the time of Tim’s arrival in Australia, and reveals a mop of curls. 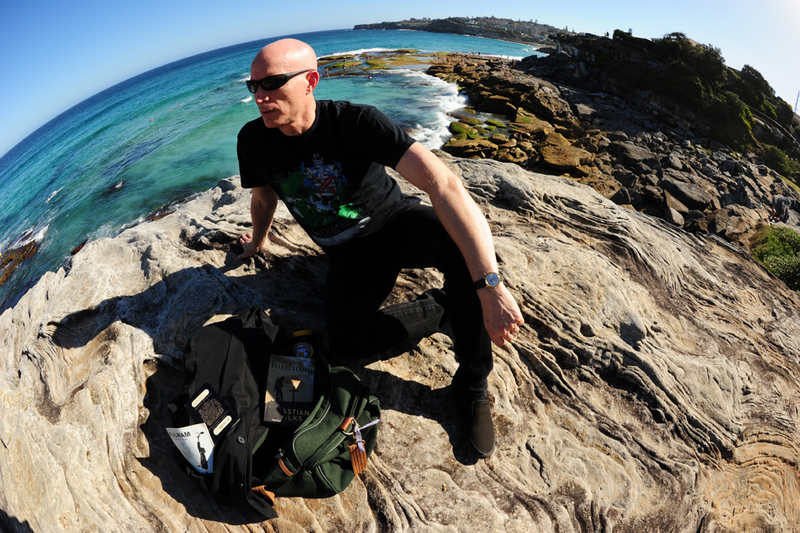 At the centre of the passport is a photo of Tim perched atop a rock ledge with a Sydney beach beneath. This is very clever work indeed, because without having heard a note or a lyric the listener already knows quite a bit about Tim. before breaking into a really hooky resolution of the verse. There are some nice dynamic shades in this track which can turn from wistful reflection to fast paced acoustic rock. A great introduction to the CD. I must confess to having mixed feelings about the second track “Crushed”. It’s a song where Tim has set himself a tough rhyme scheme for the verses. I am not sure whether Tim set out to have each of the four lines rhyme with the others in that verse, or whether the intention was to have lines 1 and 2 rhyme, and 3 and 4 rhyme separately. In the first verse he has rhymed “lied” and “side” in lines 1 and 2 and “fly” and “try” in lines 3 and 4, and in verse two there is a similar similarity between “refuse”, “proof, “truth” and “suits”. However, in verse three, if the scheme was all lines rhyming it was not carried through. This might seem very pedantic and “nit-picky”, but because in verses 1 nd 2 it seemed that every line was going to rhyme I found myself trying to predict the rhyme rather than listening to the track. In my view that’s an unnecessary distraction from what is otherwise a great song with a tremendous hook in the chorus. “Champagne” is a change of pace, a ballad to the demon drink. This is a really well constructed song with some dandy brush work from the percussionist, sweet acoustic guitar and some excellent slide complementing Tim’s strong vocals. I was really impressed with the changeover to and from the middle 8. This track had me in mind of Gilbert O’Sullivan at his best. “Mosquito” starts with some droning guitar work with some electric crash chords and a solid tom-tom beat. A song written from the perspective of the mosquito. Another fine production with some sparkling acoustic work and a relentless beat. This track for some reason puts me in mind of David Bridie both vocally and conceptually from his “My Friend the Chocolate Cake” period. The backing is appropriately muted to allow the vocals to shine through. A very passionate vocal performance by Tim on this track. At times his vocals here remind me of the Bee Gees. Shades of Peter Townshend from his “Empty Glass” period – harsh, bitter, yet damned funny. Lyrics fired in a machine gun fashion in front of riffing guitars, before a more reflective bridge. Nice twist to the lyrics in the last verse. Great track and definitely my favourite. Coupled with a plea to be “artistic, like my girl”. Again, Tim’s ability to find a hook is spot on. This is a really strong track and a great way to finish the CD. Some very sweet sounding guitar lines emerge. 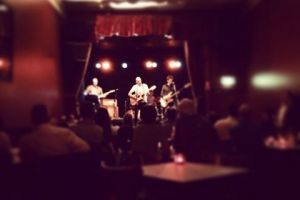 Once again, Tim has served up a CD of varied styles displaying intelligence, wit and fine playing and performance. The attention to detail in the recording, the production and packaging was worthwhile. It’s a fine package and one that I am happy to have in my collection.